The state of their license. Ask to see the center’s license and make sure that it is in current and good standing. Check with the local and state governing boards and social services department for any complaints or violations against regulations. Not every state requires a license to operate a child care so make sure to follow up and do your research. The state of their facility. Though a license may not be mandatory, cleanliness should be. Floors, play areas, kitchens and bathrooms should all be obviously scrubbed and sanitary. Trash should be properly contained. food storage and prep areas should be adequately separated from bathrooms and changing tables. Toys and play equipment, both indoors and out should be regularly washed and cleaned. The amount of space available. According to certain accrediting agencies, child care centers should have at least 35 sq ft of indoor space and 75 sq ft of outdoor space per child. The commitment to safety. The constant safety of every child in their care should be the top priority of any child care and their workers. Make sure that toys and play equipment is in good repair, doors to unsafe or outdoor areas have the proper locks, medicines and unsafe products are properly stored and the outdoor play area is free of hazards. Smoke detectors, fire extinguishers and first aid kits should be accessible and ready to use. 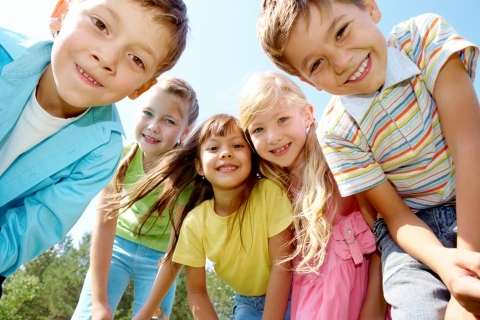 At Foundations for Learning in Glastonbury, South Windsor and Southington your child’s health, safety and well-being is our total and complete focus. Dedicated to your child’s happiness and your peace-of-mind, our entire staff works to create a home-away-from-home environment for your little one. Schedule a tour of our facility today for the knowledge you need to make choosing a quality daycare an easy one for you and your family.